Some lawns need a little more TLC than others. If your garden or front lawn is looking neglected, it is time to give it what it needs. 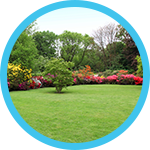 With the soil aeration treatment from Green Green Landscaping, you can give your lawn the extra boost of health it needs. Our aeration services will ensure that your lawn will be the envy of the neighborhood because of its health and perfection. But what is soil aeration? What does it do? Aeration is one of the most effective and practical cultivation services available for your beautiful lawn. This procedure typically involves perforating the soil with small holes. These holes allow air, water, and other nutrients to reach the grass roots under the surface. By allowing these essential items to reach the roots, this enables more growth and a stronger, more vibrant lawn. 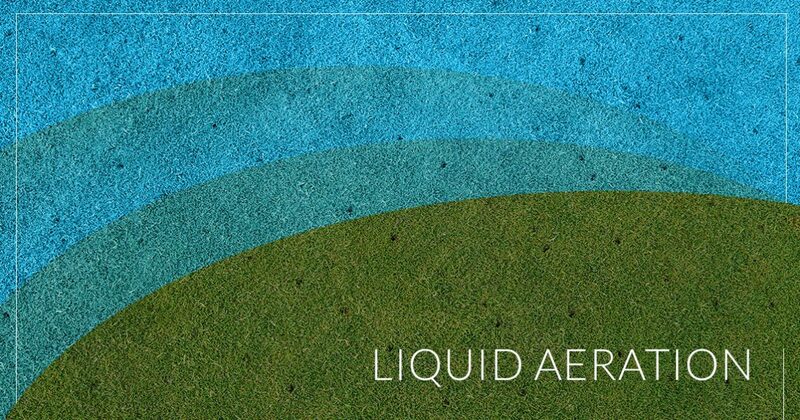 Our new product N-Ext Air-8 0-0-5 Liquid Aeration® is designed to break up and loosen topsoil and encourage deeper rooting to drive more oxygen into the topsoil. It provides deeper penetration of water and roots and it can be done anytime during the growing season. Not only this, but the solution covers the entire lawn and there’s no need for marking up your lawn to ensure that all of it has been properly aerated. Annual or semiannual aeration is recommended for all lawns, especially those with thatch buildup. It’s also recommended for any lawn that needs to be thickened as well. Luckily, aeration helps break up the thatch of your lawn and thicken the greenery of your lawn. Contact us today for our aeration services.